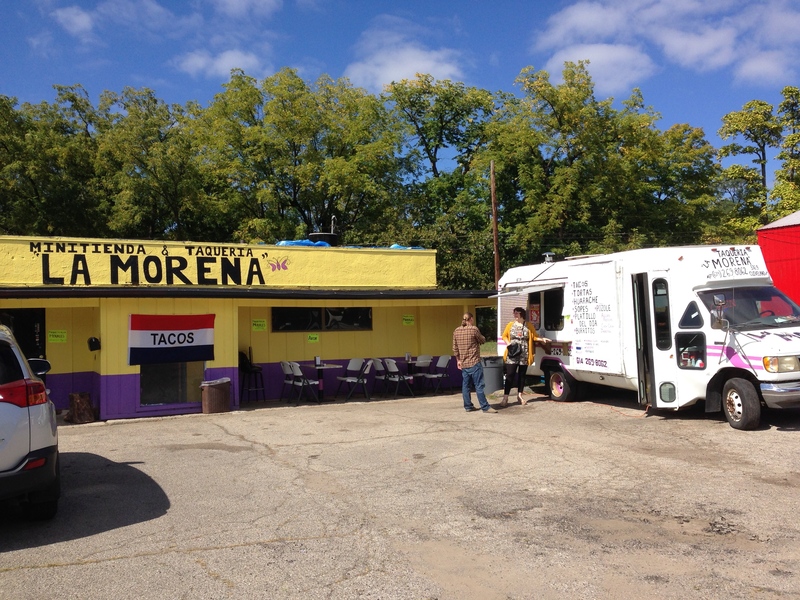 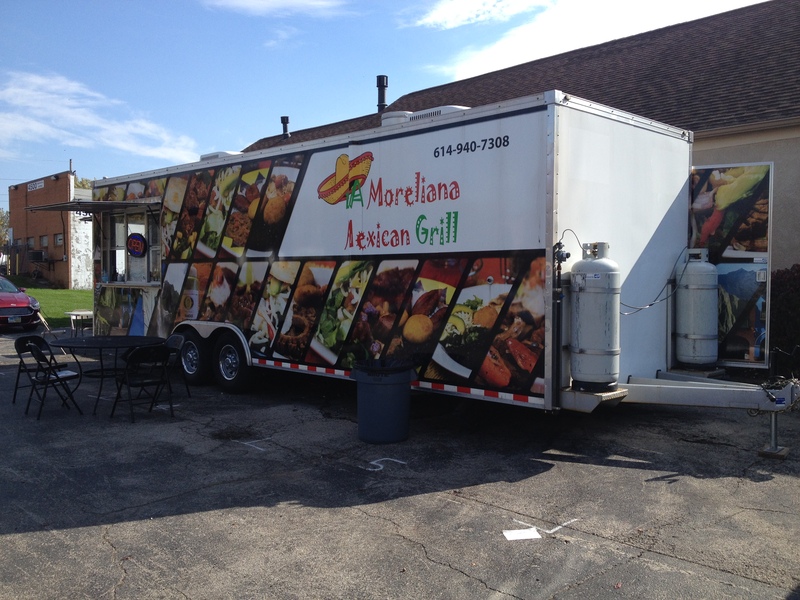 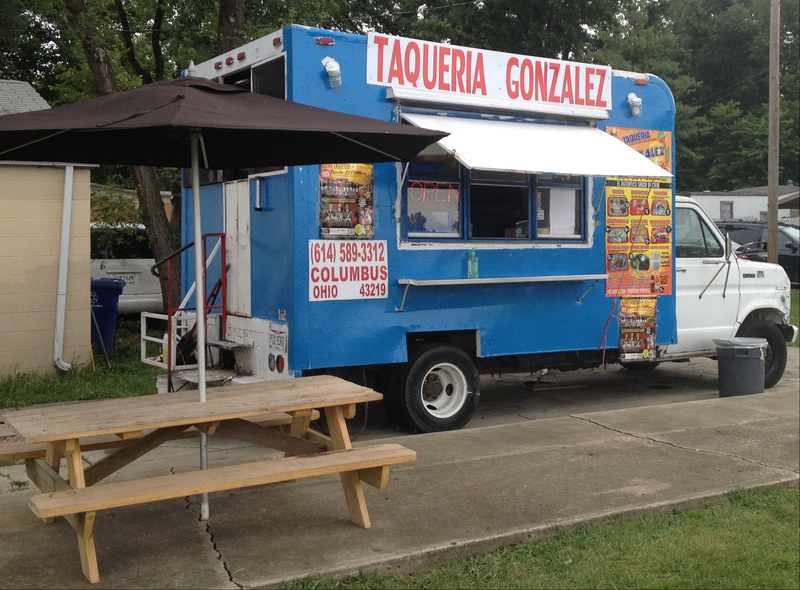 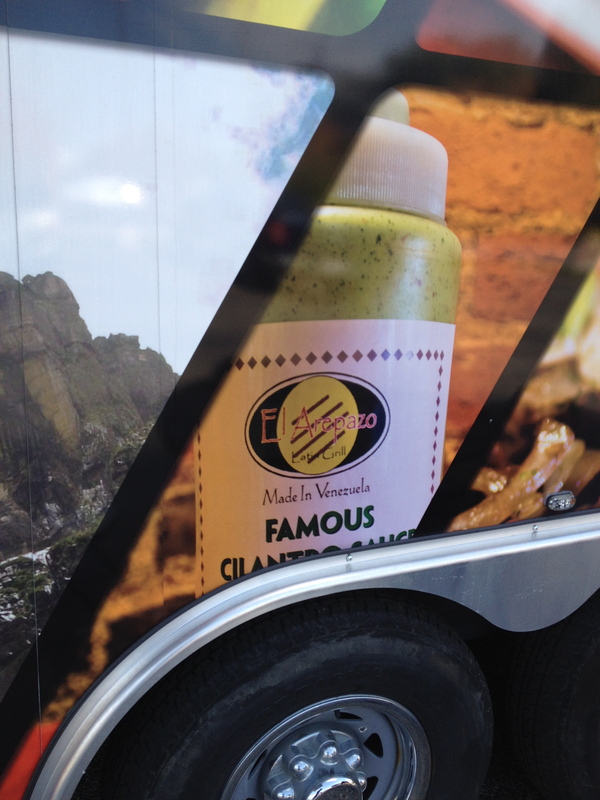 La Morena is a new taco truck on Cleveland Avenue. 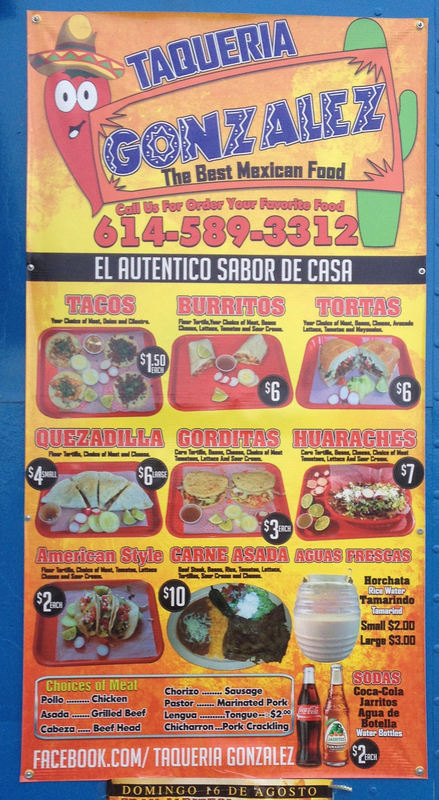 The husband is from Tamaulipas and the wife is from Honduras. 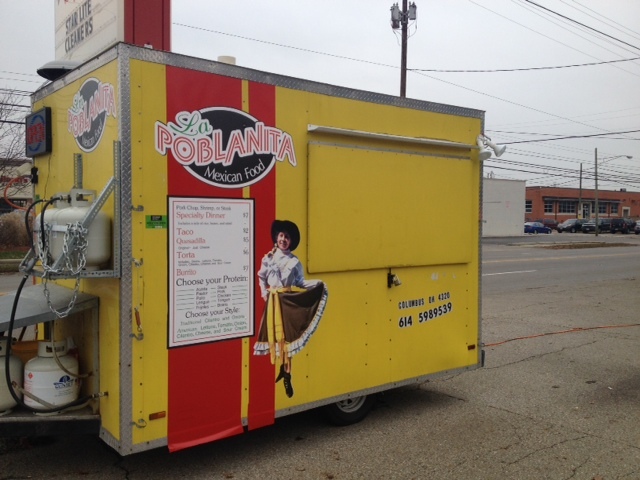 She said that they will be adding some Honduran dishes and other items to the menu soon. 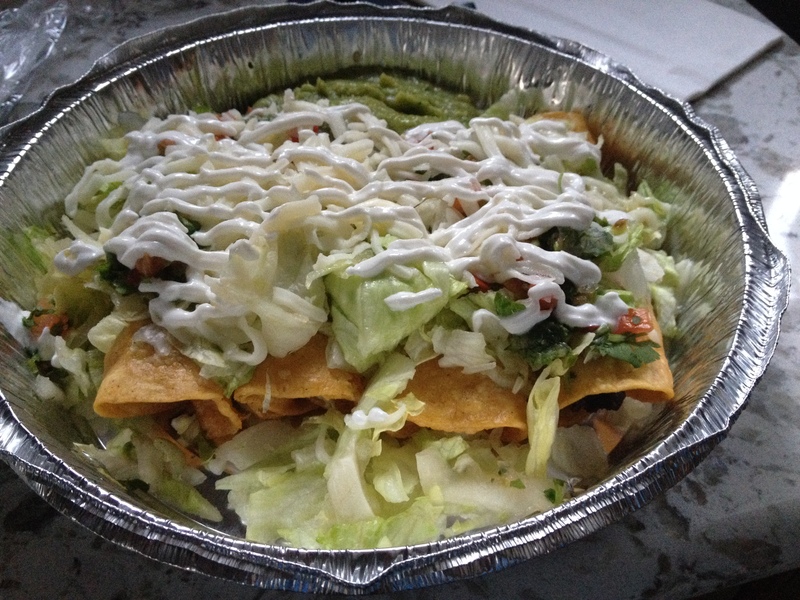 This dish was the taquito pirata and while it’s not a traditional taquito (a rolled, deep fried and stuffed tortilla), it is really delicious. 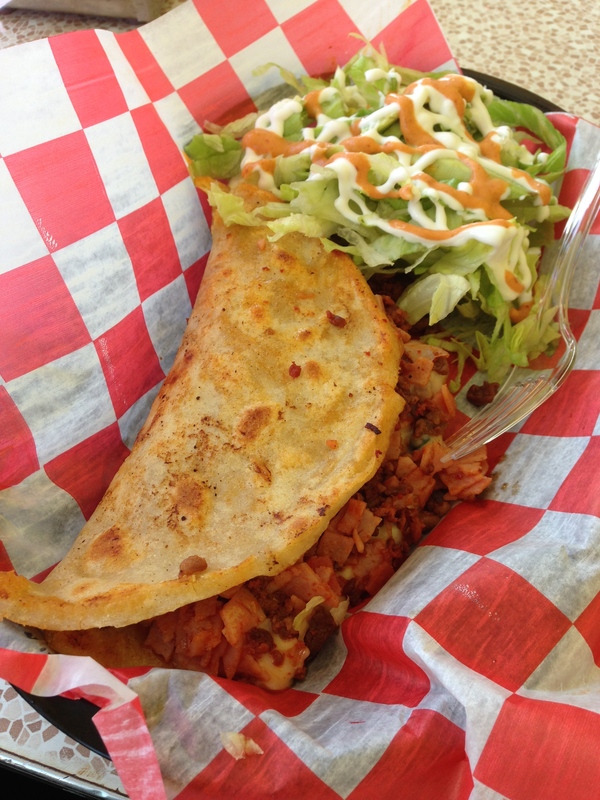 It’s a thick handmade corn tortilla filled with a finely chopped mixture of ham, chorizo and steak with melted cheese. 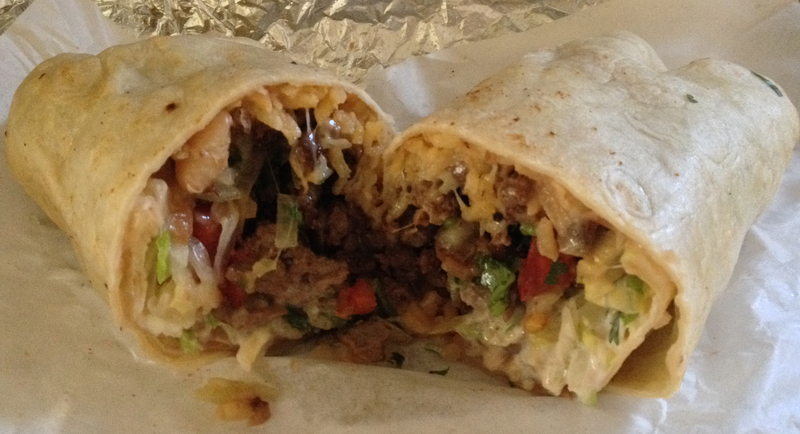 It won unanimous approval. 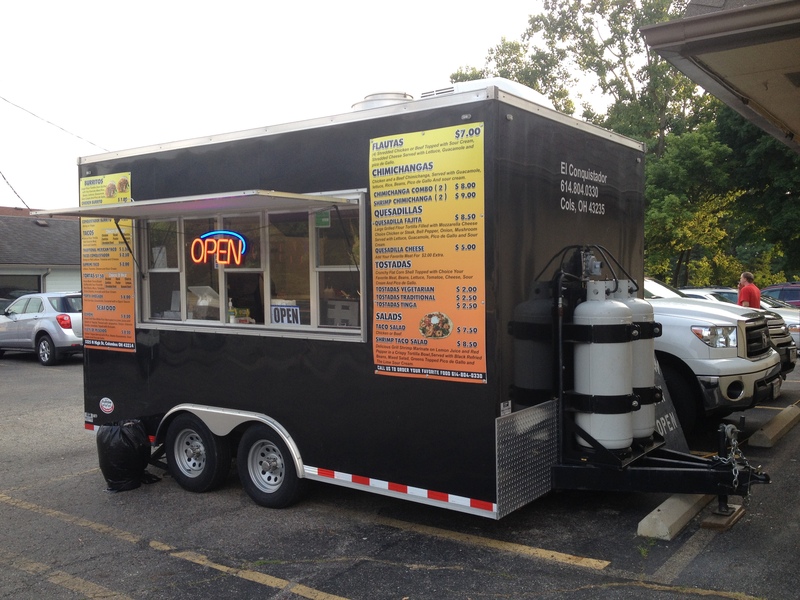 We’re looking forward to going back to try the taquito la gran senora. 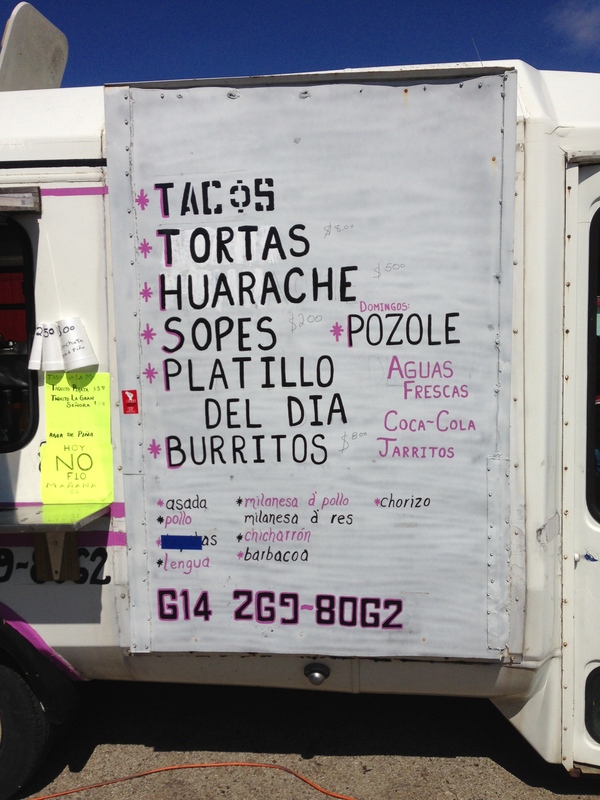 The rest of the menu consists of taco truck staples: tacos, burritos, sopes, huraches and tortas. 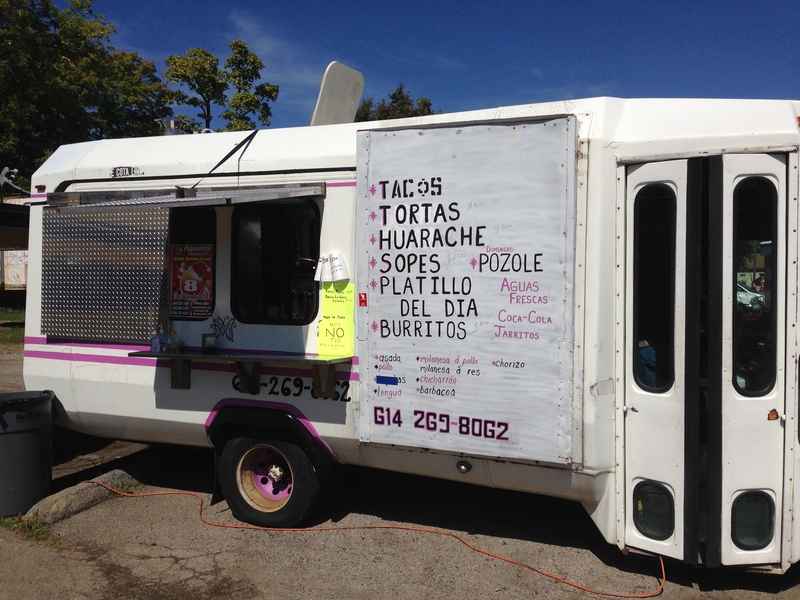 The sopes were hand made and were solid. 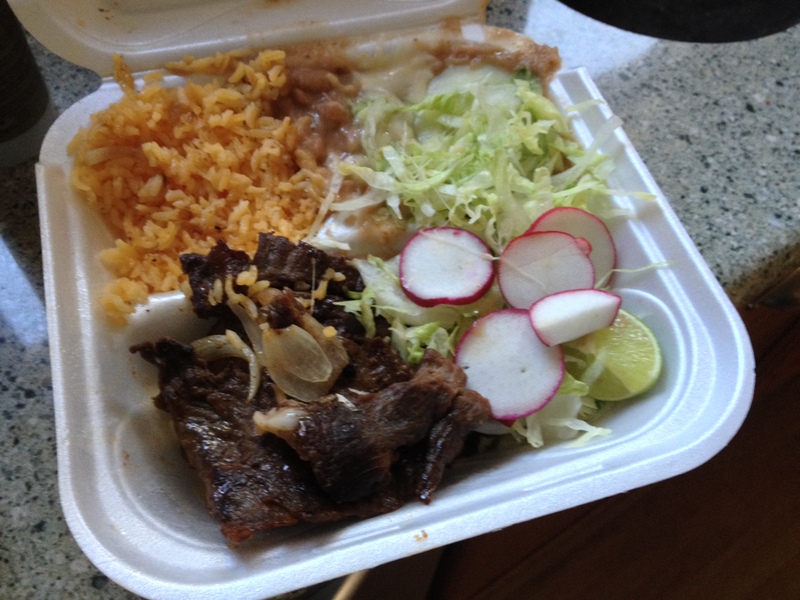 Meat options were pastor, chorizo, steak , chicarron and chicken. 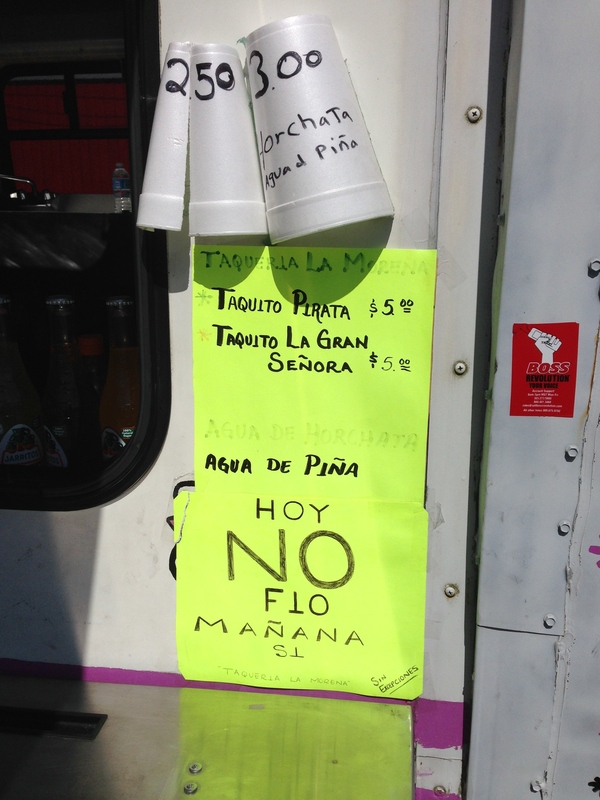 On Sundays they make posole and at the weekend they have fresh agua de pina and more meat options including lengua and barbacoa. 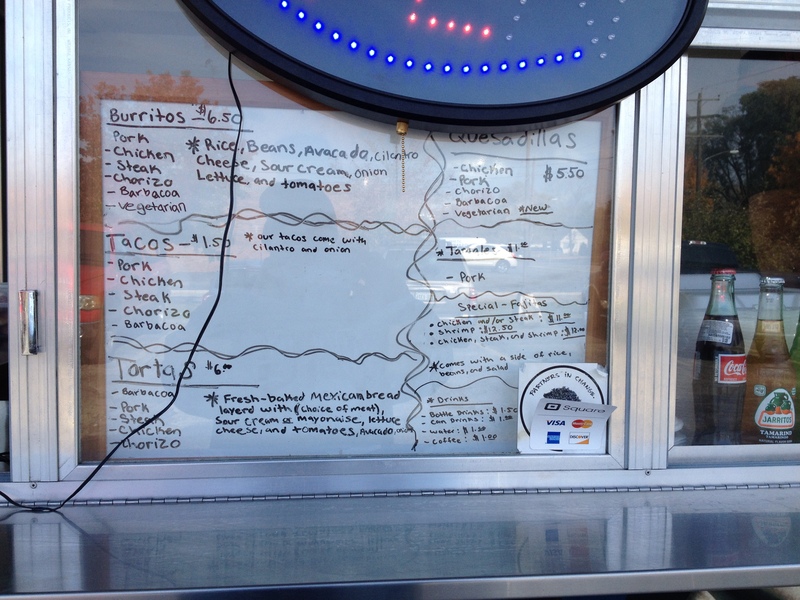 The truck has been open for 3 weeks and is off to a promising start. 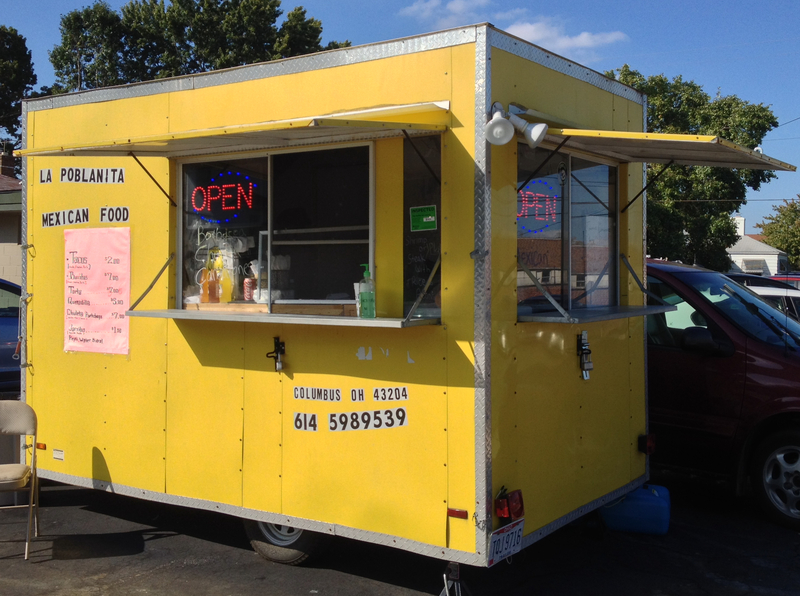 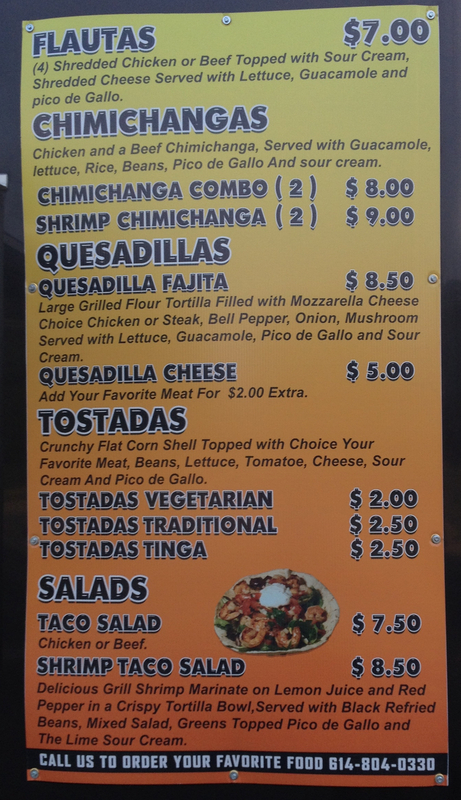 The taquitos pirata alone are worth a detour via Cleveland Ave and they have table seating outside the store.